Our House at the Beach W-301 Coastal decor with view! Just across the street from the acclaimed #1 Beach in the US. 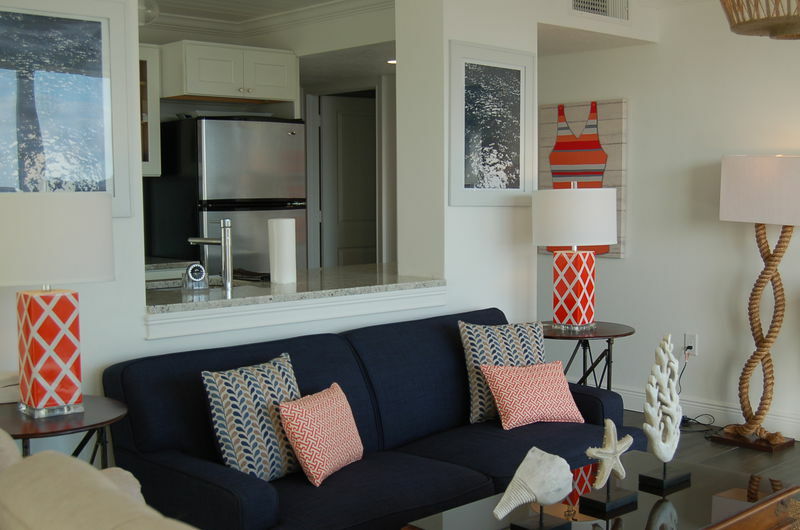 This beautiful two bedroom/ 2 bath condo offers beautiful views of the Gulf of Mexico and all the comforts of home with a fully equipped kitchen and a spacious living room and dining area. This corner apartment is bathed in light streaming in from 2 extra large lanais. 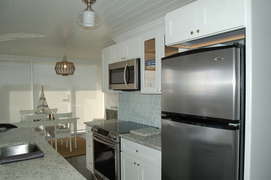 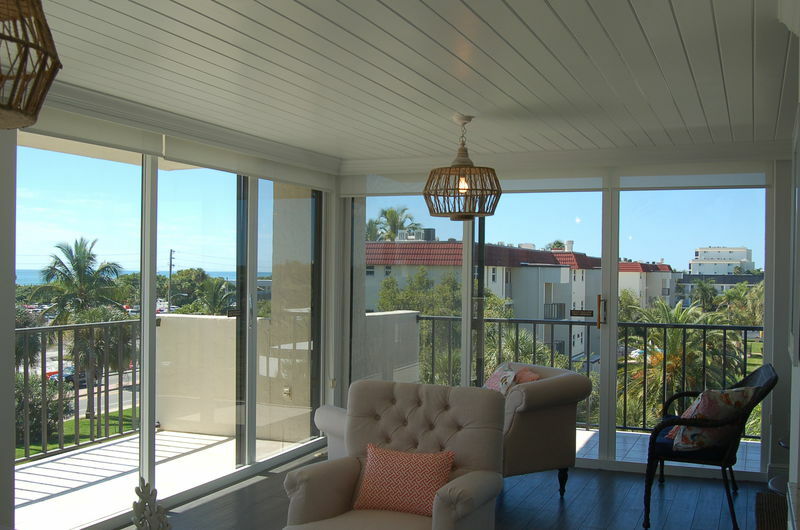 It has just been fully renovated, with new appliances, granite counters and marble tiled bathrooms. 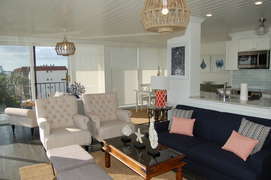 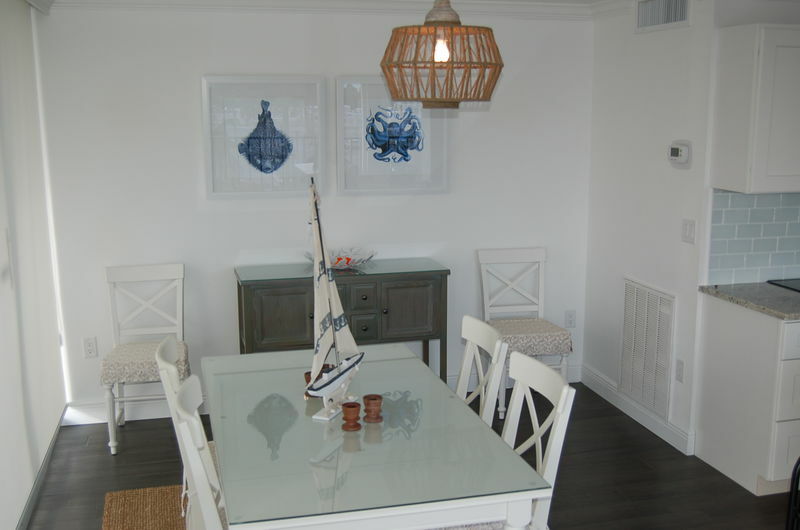 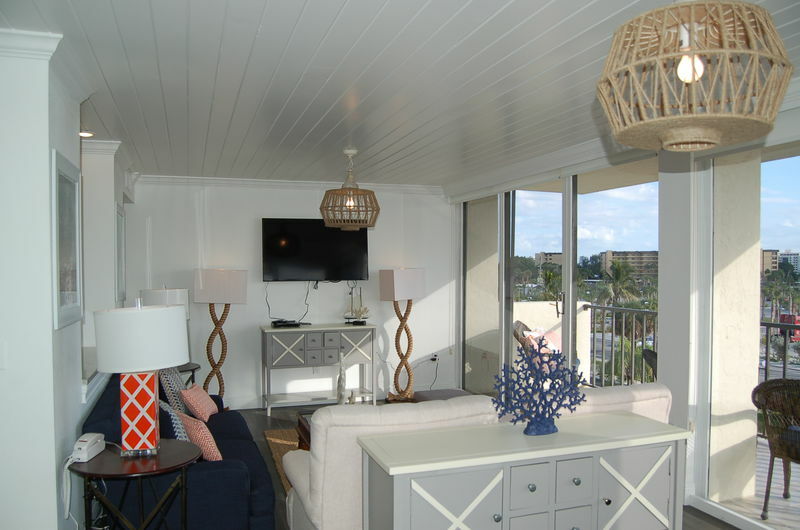 It is professionally decorated in bright coastal decor with custom made furniture. A washer and dryer is located in the unit and linens and towels are provided. 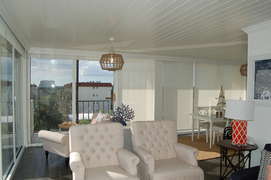 The facilities include a heated pool, tennis courts and a covered pavilion with grilling area.